Delivery timeframes are provided in the Voucher Fine Print. 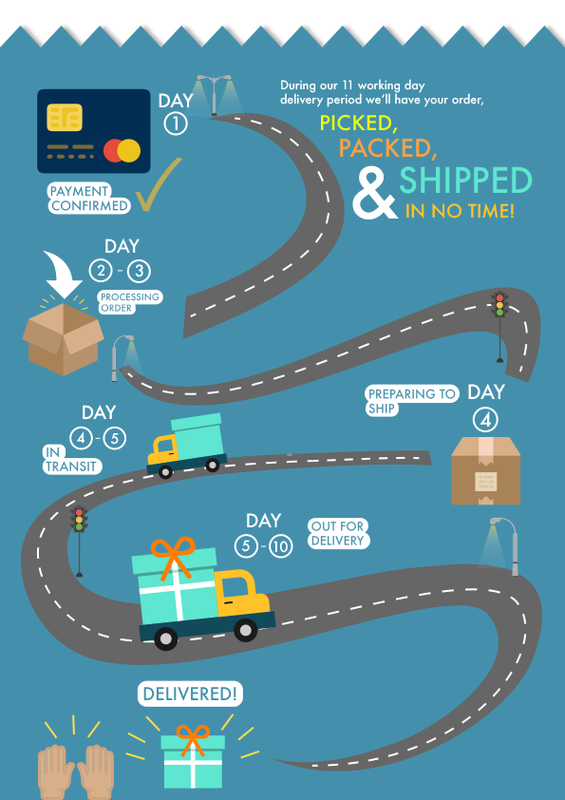 During our 11 working day delivery period, we'll have your order picked, packed and shipped in no time! Shipping: Hyperli Goods shipping options will vary by offer. Your purchase is not eligible for shipment outside South Africa.